Today in History–August 12–the Library of Congress features scientist and inventor Thomas A. Edison, who is credited with completing the model of the first phonograph on this day in 1877. 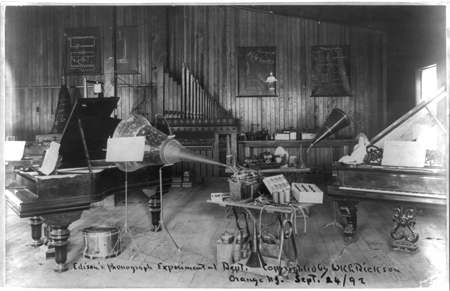 Find out more about the “wizard of Menlo Park” by visiting the Today in History section, where you’ll also find links to other Library sound collections. Then click the links below to access more resources and primary sources related to Edison and inventions.